Army Sgt. 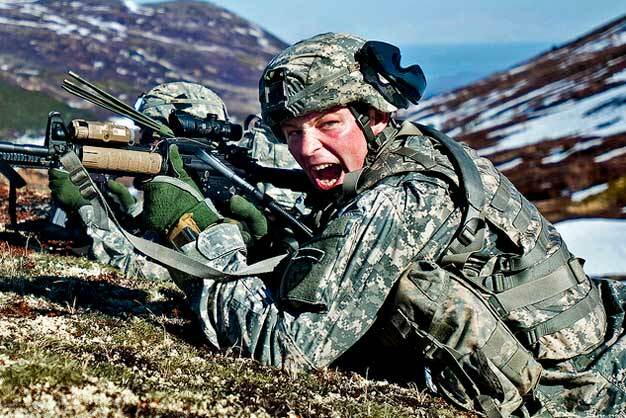 1st Class Kyle Silvernale yells commands to his troops during air assault training in Alaskaís Chugach Mountain Range on May 12, 2011. Silvernale is assigned to Company C, 1st Battalion, 501st Infantry Regiment. DoD photo by Senior Airman Christopher Gross, U.S. Air Force.